Lyon’s Nuits Sonores electronic music festival is an urban and creative lab. From the outset it has promoted an innovative vision of musical culture, by supporting emerging styles, tomorrow’s artists and electronic culture. The 15th edition of Nuits Sonores was held in Lyon from 23-26 May 2017 across many of the city’s emblematic spaces, nightclubs, and concert halls. Over the 6-day festival, the city of Lyon is transformed into a transient space of conviviality, art and music. There were events night and day, but also extras: free off-beat and festive events created especially for Nuits Sonores. Every year, the festival hosts many artists of international stature. This year, musicians such as Vitalic, Nina Kraviz, Laurent Garnier and the Chemical Brothers were among the stars. This 15th edition achieved a record attendance rate: in all, more than 140,000 visitors to the festival’s free and ticketed events, which is 2000 more than last year. 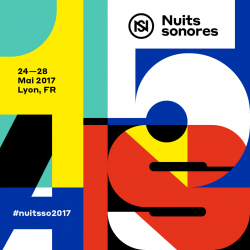 The organizers confirmed that “this fifteenth anniversary will have marked a major turning point in the artistic history of the festival.” While the 2017 edition of Nuits Sonores is over in Lyon, it will be held in Brussels from 14-17 September 2017; this will be the first ever Belgian edition. This project is the result of a collaboration between the festival’s organisers, the Arty Farty Lyon association, and the Brussels Expo group.